This Yoga Practice supply/tool is used to relieve inflammation and joint stiffness. Filled with *ORGANIC* flaxseed, and a soothing blend of essential oils-chamomile, lavender and rosemary. Chamomile is known to relieve inflammation, stress, and tension. Lavender is known as "Grandmother's Incredible Remedy" and has a calming scent. Rosemary is also used to relieve inflammation and the symptoms of pain. Ball is microwaved for 10 seconds for warm applications or can be placed in the freezer when cool application is desired. While sitting in your favorite place, you can massage the ball with your hands, roll the ball under your feet or roll the ball on your neck, wrists or knees. 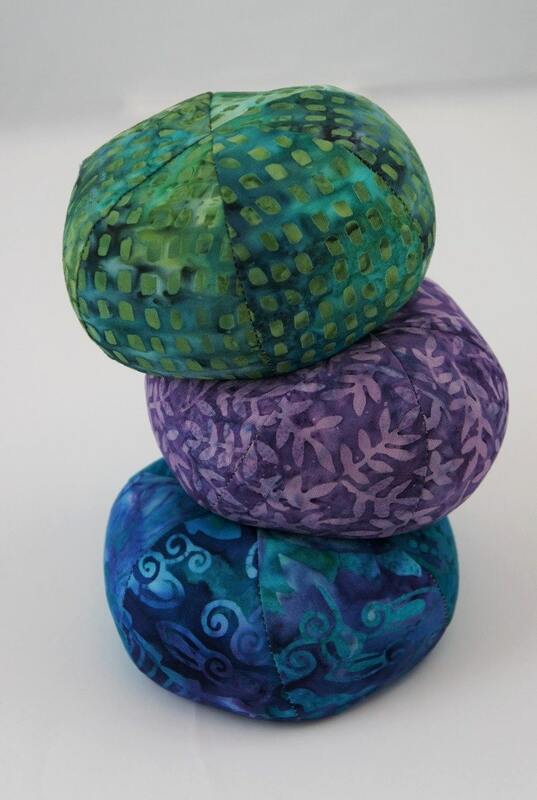 **Each order contains 6 (six) Good Medicine Balls, packaged individually in Multi tone Batiks. Shipped to same address only. Wonderful little balls of healing! I'm gifting them to all my massage clients and family this year! A variety of beautiful fabrics and a delightful scent. Arrived well packed, on time and with a lovely note inside.